Here is the "speed bump" that caused the fall. 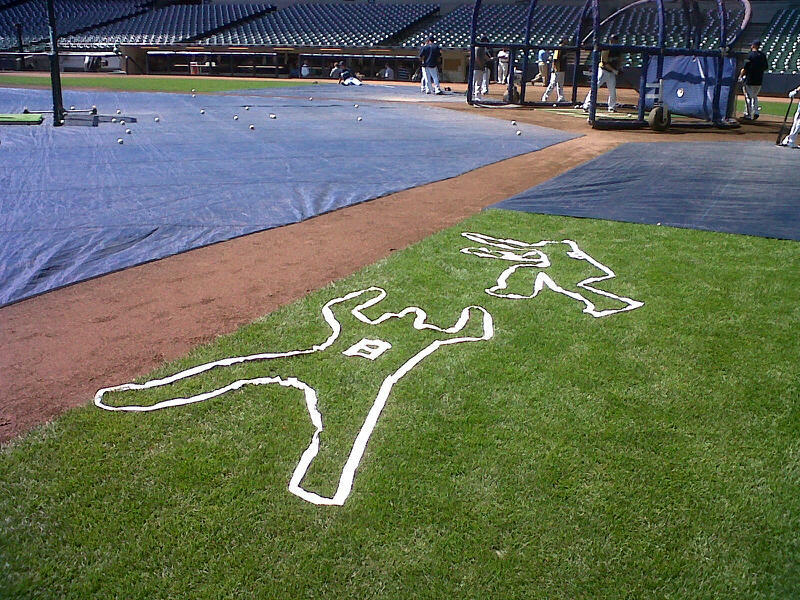 A chalk outline of Ryan Braun at the “scene of the crime” between third and home at Miller Park. Hilarious! 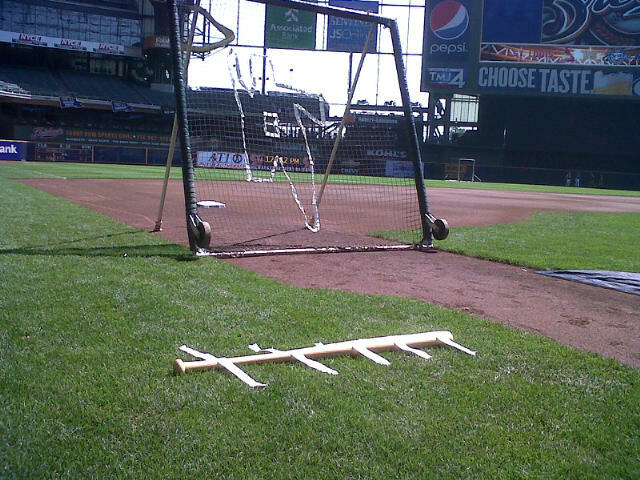 I spoke to Braun this morning. The good news? All that is injured is his pride. A loose team is a good team!